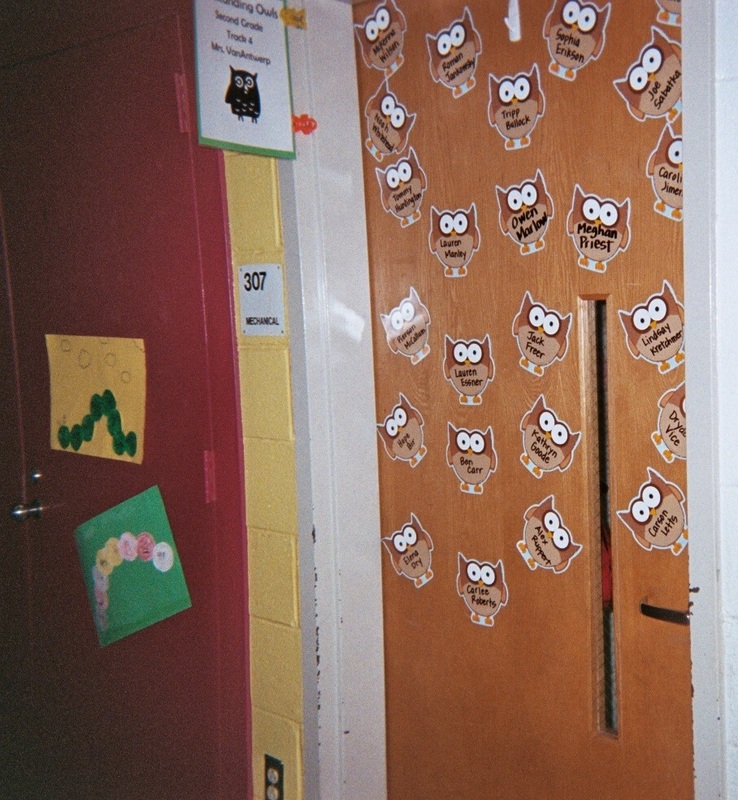 …and bulletin board designs to attract distracted kids and help them learn. 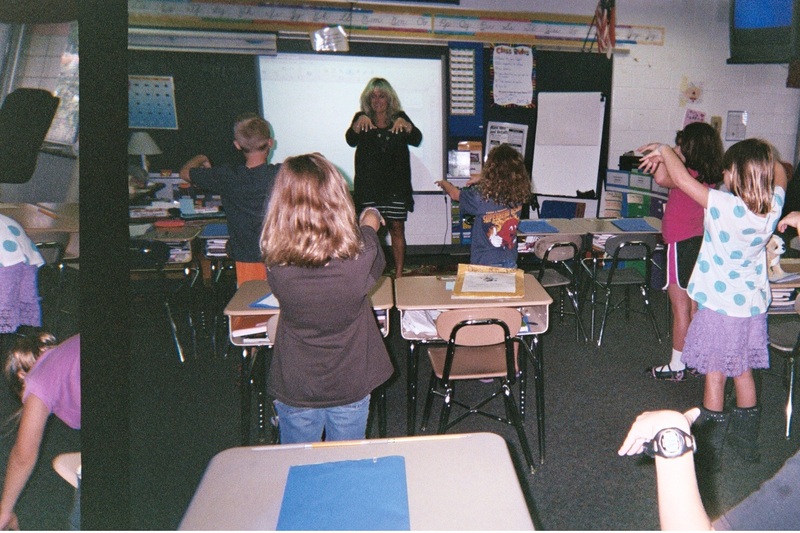 Why do teachers have to work harder than ever to get kids to pay attention today? When adults and children feel pressured to stay constantly connected, attention-levels suffer and moods can turn sour. Big bright bulletin boards are mood elevators! Every time I walk the halls of schools where I visit to teach writing, I look for ways to turn visual resources into attentionology tools. 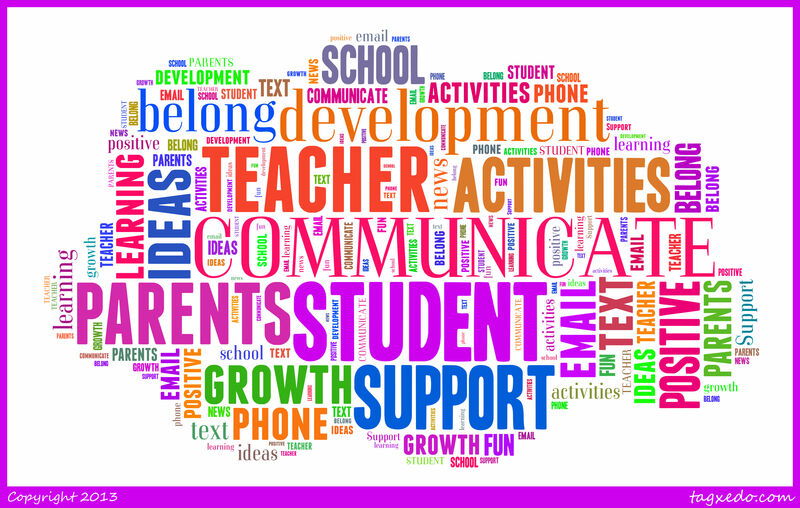 Why do we need to “merchandise” classroom learning? The answer points back to living in a world of distraction and constant change. Think about retailers; they frequently move merchandise around to keep shoppers looking, similarly to how teachers aim to keep kids’ attention. Mindful of time limits that teachers constantly face, the following pics and tricks have quick tips for implementation. DIVE INTO LEARNING! Invite your class to “dive into learning” in the new school term with a bulletin board that features a treasure full of gold. Help kids master the concept that education IS its own treasure, not something to be taken for granted. Make (or invite students to make) gold coins and write subject areas that are appropriate for your class – math, reading, writing, science, etc. – in dark letters on the yellow coin surfaces. Post the coins in and around the treasure chest on the bulletin board. “Diving into learning” is a good start, but this teacher is taking the analogy a step further. She and her students are simulating swimming to reach their goals. 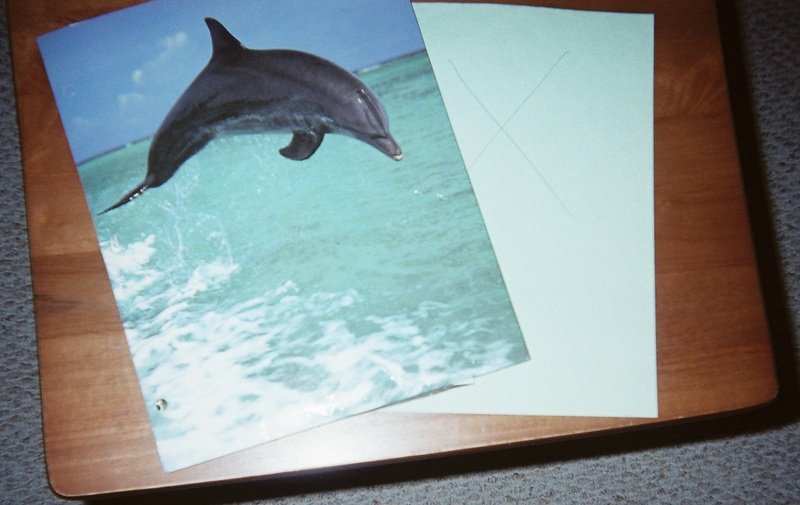 Slip a dolphin folder on a struggling student’s desk to lift the child’s mood and help her or him re-focus. Pick up on the Dive Into Learning theme and the popularity of dolphins by keeping a folder with a dolphin on the cover in your classroom. Invite the student to write a note to the dolphin and leave it inside the folder for you to pick up later. The note may reveal the child’s concern and offer insight into how you can help. 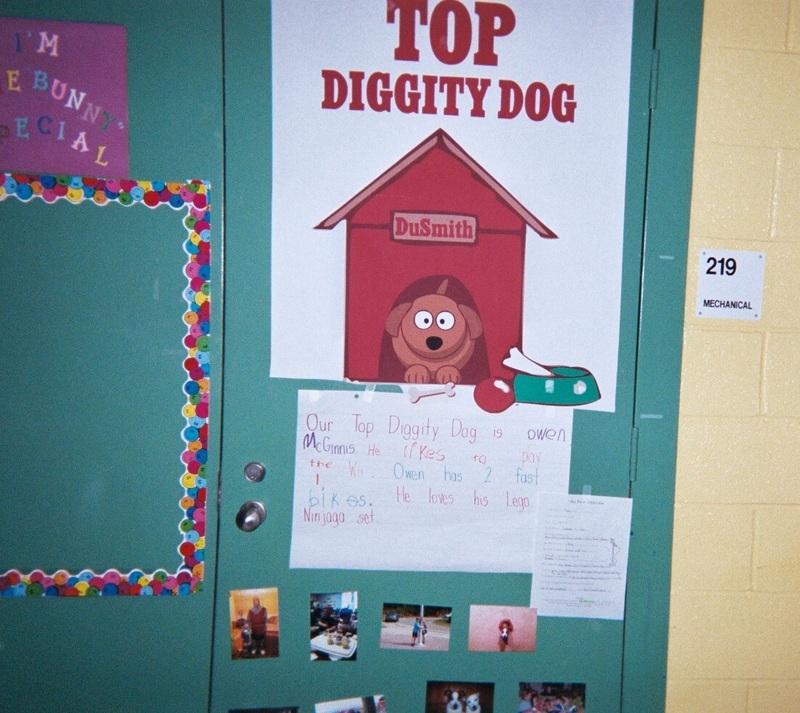 A REWARDING BULLETIN BOARD – WHO’LL BE THIS MONTH’S TOP DIGGITY DOG? This bulletin board offers a clever way to reward young children who do a good job paying attention. You can create a similar poster with space for a photo and short “bio” to recognize a student monthly that has been the most focused and on task in class. Adapt these attention-getting tools, tricks and bulletin boards to your part of the world. For example, you can substitute animals that are more familiar to your students. Or, as another example, if you live in a mountainous region you might choose to use a bulletin board that invites students to climb and dig for treasure instead of diving for gold. 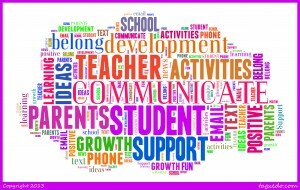 Change it up; one of the best ways to prepare children for success in a world that constantly changes is to model embracing change – but control it in school. As master of your classroom, you can “merchandise” education to suit your goals. 3 Pings/Trackbacks for "Dolphin Tricks & More to Attract Distracted Kids"